Nathaniel-Bassey-This God Is Too Good-Kennymp3. HomeGospelNathaniel-Bassey-This God Is Too Good-Kennymp3. 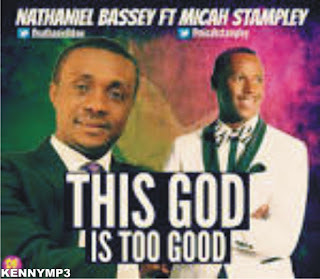 One of Africa’s most prolific worshiper and singer song writer who has blessed the world with songs from his heart like “Imela” and “No Other God like You” Nathaniel Bassey features award-winning music minister Micah Stampley in this beautiful worship song titled ”This God is too Good”.